Soliloques is an audiovisual installation inside the main building of a university of technology. It is made of resounding electronic boxes with buttons and cables. These objects are ambiguous : they might be perceived as a set of quasi-similar objects, not so far from minimal sculpture, or they can also be understood as what they pretend to be : some control units proposing their buttons to the audience. Those modules/sculptures are emitting a rather weak sound which is flowing through the different elements. 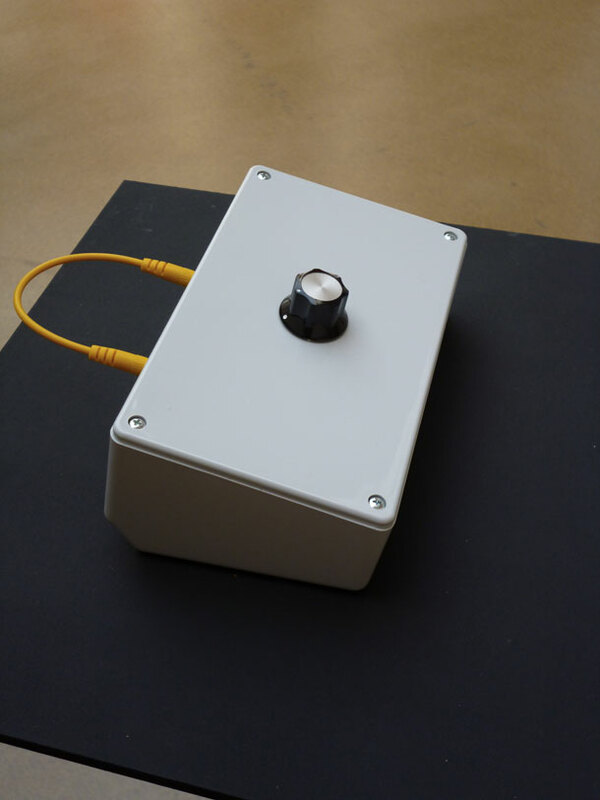 The main idea behind this project is to question the relationship between man, technology and the networking obsession of contemporary society through a singular mechanism : soliloques is a kind of autonomous workshop where manipulation of the controls might have an effect an the whole thing, or maybe not. There is no apparent logic in the disposal of the objects and there is no markings or any other kind of help for the audience. The sound from the objects suggests that there is something happening, but nonetheless it seems that the machine is not fonctionning properly, or in other words : it is only doing what we imagine it is doing. Some elements of visual and technical vocabulary will be familiar to the people from the university (buttons, cables...), but the whole thing is an unknown machine : its purpose is to introduce in an engineering school a device without pre-determined function.